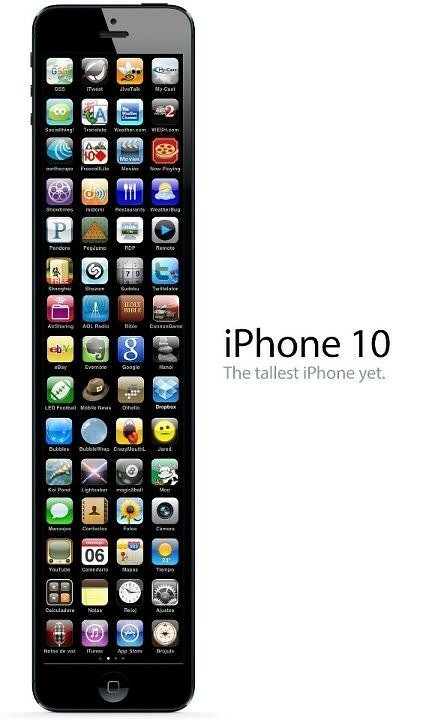 Limerain Exclusive, the future of the iPhone is here, the 10th generation of the iPhone! It is beautiful, still fits in one hand perfectly. It's only 24" tall, with 14 rows of icons, who needs pages and folders! Take that Galaxy s3 and any other Android phone who thinks they have the biggest screens. Don't forget to like share and comment.